Founded in 1991, Erzi is a German toy company that began life making role play toys. It wasn't long before they added more items to their range - and these include educational games and sporting products that are designed to be used within schools, sports clubs and nurseries. Erzi is particularly well-regarded for their wooden pretend food - and if you've ever seen their Southern Fruit box of pineapples, oranges and lemons (shown in the image above) you'll understand why! 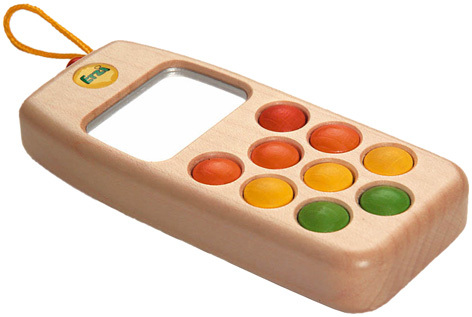 As well their wooden toys, Erzi also has a significant number of educational games and puzzles in their portfolio of products. Marble, maze and mathematical games sit alongside some lovely preschool gizmos such as shape sorters and stacking blocks. As people have come to expect from ethical wooden toy manufacturers, all of Erzi's toys are made of wood from carefully managed, sustainable forests. The natural birch wood used has a gorgeous quality of finish - and all items are decorated with non-toxic, water-based paints and varnishes that are safe for your child. Naturally, Erzi complies with all the required safety standards for products that are sold in Europe and America.